We are searching for great people. If you have a good sense of humor, an outgoing personality, and don’t mind staying in shape by busting your tail making or selling great bread, then you might be just the type of person we are looking for. Attached is the Application of Employment including details of the positions for which we will be hiring. We are happy you have expressed interest in working with us here at Great Harvest in Fairbanks. 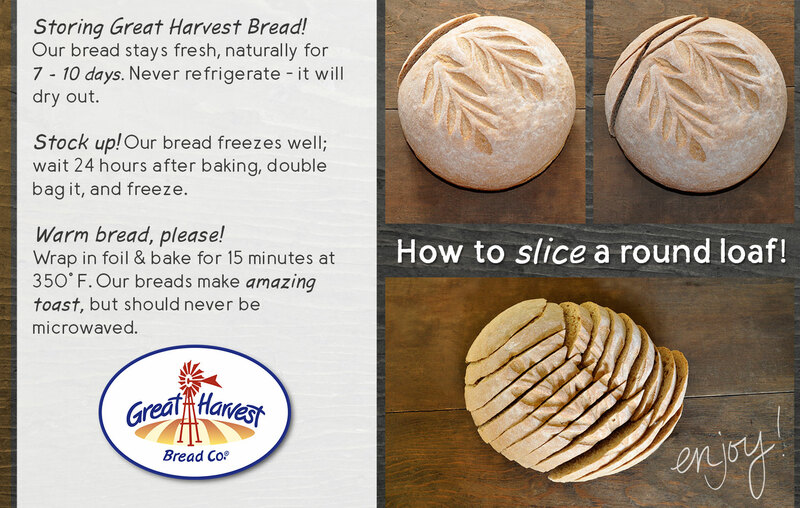 Before you continue with the application process there are a few important things you need to know about Great Harvest Bread Co.
Great Harvest Bread Co. is a special company. A lot of teamwork and effort goes into each day. We are excited about what we do and products that we sell. Customer service is our top priority! 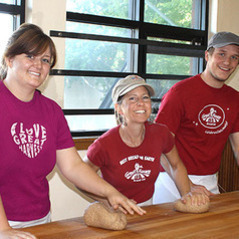 Everyone in the bakery is expected to be attentive and to serve customers with a smile at all times. While we care a lot about what goes into our products and making sure that we maintain a high standard in everything that we produce, we care even more about our customer’s experience at Great Harvest. We want it to be consistently positive and memorable. Holidays are especially important at Great Harvest. These are extremely busy times for us and this makes teamwork that much more important. Employees are expected to put forth their best effort and be flexible with their schedules. Therefore, you are expected and needed to work during this time. If you have obligations or vacations planned during the holidays then this job is not for you. We are flexible with schedules and vacations during other parts of the year. You may e-mail, send or drop off your application to our address. After you have submitted your application we will review it and call you in for an interview if we think you may be a good fit. We will call you to set up a time for the interview. Please, do not call us. If you are not hired at this time we will keep your application on file for future opportunities. Thank you for applying for employment at Great Harvest Bread Co. in Fairbanks.